Oxbotica, a UK tech company which spun off the Oxford Robotics Institute, will lead an ambitious 30-month program to get fully autonomous vehicles traveling between London and Oxford. The UK public got their first extended trial of the driverless shuttlebus in March. As part of "Project Gateway", around 100 people traveled in a prototype shuttle on a route in Greenwich, London. 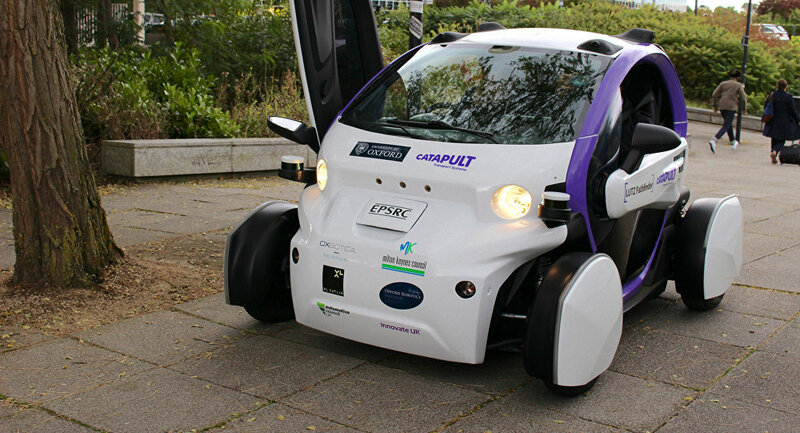 The shuttlebus which was named Harry was manufactured by Westfield Sportscars and Heathrow Enterprises, whereas Oxbotica worked on its autonomous software. ​The shuttlebuses are autonomous and can be operated with ease; the bus operator can view information about the shuttle, whether it is in motion or stationary. The operator can also look at the amount of battery remaining and the temperature of key components. All of this can be seen from the iPad and an operator can cancel autonomy at the touch of a button, as well as request maintenance. Oxbotica's chief executive, Dr. Graeme Smith said that the latest news from the company was "truly groundbreaking." "We are seeking to address some of the most fundamental challenges preventing the future commercial deployment of fully autonomous vehicles," Dr. Smith said. The consortium of technology and transport companies that will be receiving the funding are Spanish telecommunications company Telefonica, consultancy company Transport Research Lab (TRL), as well as Oxfordshire council and Transport for London. The cash will come from the UK government's Industrial Strategy Challenge Fund, which is part of a £2 billion (US$2,6bn) pledge to support state of the art technology in the modern industrial strategy. The fund, which is designed to foster greater collaboration between business, science and technology, hopes to place the UK ahead in the driverless car market. UK Business minister Greg Clark recently added driverless cars, future materials and satellite and space technologies to the list of sectors to be awarded grants.